Amanda Holden’s stylist did some great work last week she created a different hairstyle for her every night for the BGT semi-finals. And if I was a judge I would definitely be giving her the golden buzzer – every look was a winner. That stylist’s got talent! Do you wanna be in my gang? Looks like lots of your favourite young celebrities want to be part of Taylor Swift’s street gang for her latest music video ‘Bad Blood’ Anyone who’s anyone or those wanting to be someone from the Hollywood set have been falling over themselves to be part of the show. T-Swift was recently ranked the 64th most powerful woman in the world and is it any surprise it’s claimed that being around Swifty is the place to be if you want to be considered cool. Everyone from Ellie Goulding to Lena Dunham are said to have benefited from hanging out with the young star. But getting up close and personal with Taylor is strictly by invitation only. Guess my invite must have been lost in the post! The ‘split hair’ trend had everyone talking this week. I suppose it’s one way to get yourself noticed especially on social media.in case you haven’t seen it, it’s splitting your hair down the centre and then having each side coloured in a contrasting colour. Some of the mixes I’ve seen are red and white or Green and Orange. Some of these looks are so awful I wouldn’t be surprised if the stylist ended up black and blue! 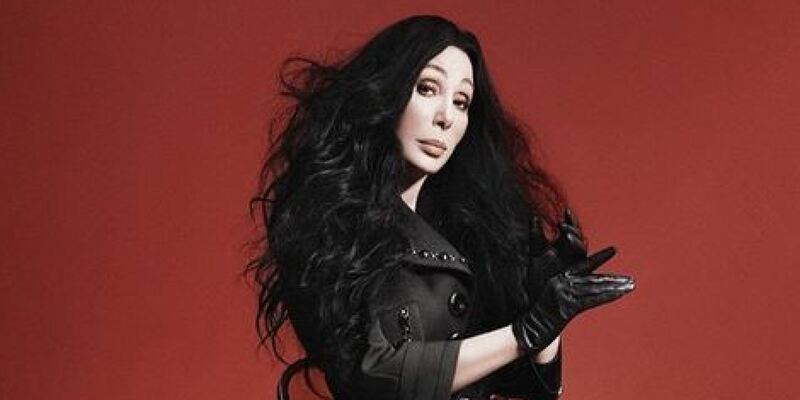 Cher definitely looks like she’s turned back time in her role as the new face of Marc Jacobs . the ads are stunning!. 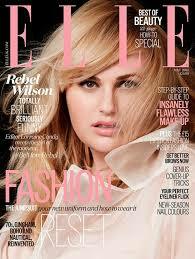 But Aussie actress Rebel Wilson – famous for her role as Fat Amy in the Pitch Perfect movies isn’t getting off so easy about her age she claimed she was 29 but this week magazines are saying she’s having problems counting and she’s actually 36. It may be a story for some magazines but do we care about age these days? Just ask Cher, age is just a number. An article this week revealed that young women are no longer fans of thongs. It’s the Bridget Jones ‘granny pants’ which are outselling their stringy rivals. I’m not surprised, I like comfort over style any day, a thong wedgie? No thanks! Pharrell Williams is said to be setting the summer men’s fashion trend with his ‘Dadcore’ look. Hawaiian shirts and cargo pants are said to be what should be in every fashionable man’s summer wardrobe. Paul will definitely want to get on board with this trend…worst luck or should that be worst look! Every girl likes the idea of dating a guy in a band but now there’s proof that guys with guitars are considered sexier than guys without one. Researchers in France had a guy with ‘ a high level of attractiveness’ flirt with 300 women and found that he got phone numbers from 31% of the women when he held a guitar case compared with 14% when he was empty-handed and just 9% when he had a gym bag. Well Shakespeare did say music is the food of love! They say life begins at 40, but oh to be 29 again! According to new research that’s your most popular age and the year you have the most friends. Apparently you have an average of 80 friends in the year before the big 3-0 compared with 64 in other years because you have still have school friends and are working on your relationships with work colleagues. Eighty friends, though? How are you supposed to keep track? Maybe all these extra friends are why we spend so much time sending emails and networking? So much in fact that new research suggests that it’s like working an extra day a week! Something tells me this isn’t what the Beatles had in mind when they wrote Eight Days a Week!